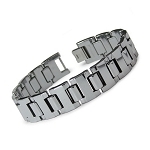 Mixed materials make for a sophisticated look in this men's tungsten ceramic bracelet. 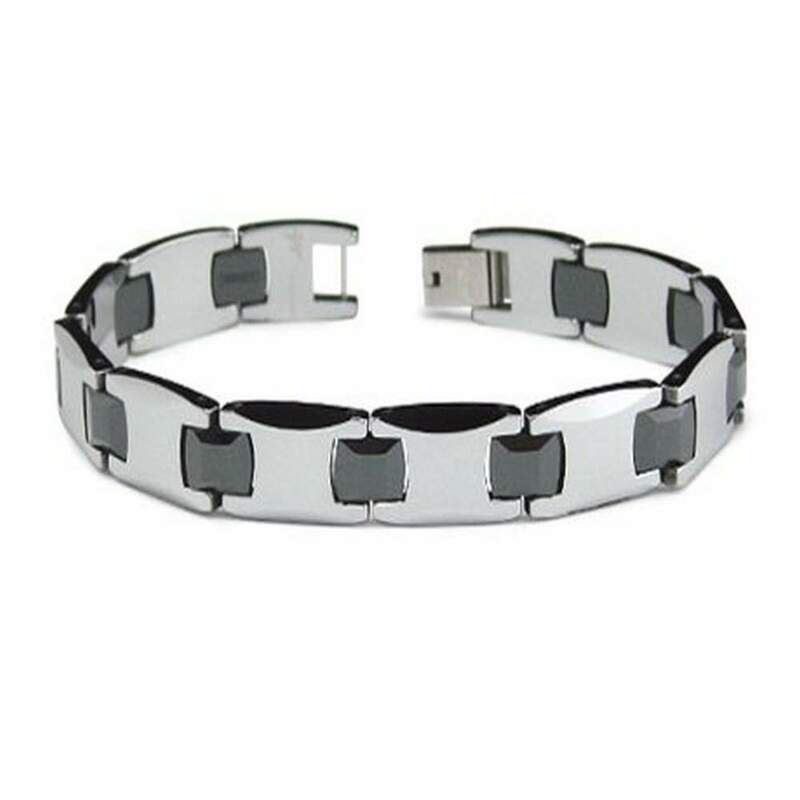 High polished tungsten carbide links in gunmetal grey are accented with black ceramic connectors. A lobster clasp completes this 10mm by 8.25 inch designer ceramic bracelet for men.